Much of the Southeastern United States falls in USDA zones 8, 9 and 10. While tomatoes like the bright sun of the Gulf and southern Atlantic states, the allied heat and humidity of these zones mean that wilt diseases may pose a risk to the tomato plants. Disease resistance is “crucial” for Southern grown tomatoes, notes "Mother Jones" magazine. The horticulturalists in state extension offices from Louisiana to North Carolina, as well as publications in the sustainable agriculture movement, conduct tests and field reports from growers to learn the best tomatoes for the region. Better Boy, specifically named by state horticulturalists in Florida, Georgia and Mississippi, as well as "Mother Jones" magazine, leads most lists as the best performer in the Southeastern United States among indeterminates, tomatoes that provide a steady harvest until frost. "Mother Jones" magazine notes that Better Boy, released in 1971, is a “Southern classic” because of its vigor, flavor and production of bumper crops. Beefmaster and Big Boy do well in Florida and Georgia, and Early Girl and Big Beef in Georgia and Mississippi. Floradel shines in Mississippi and Florida. 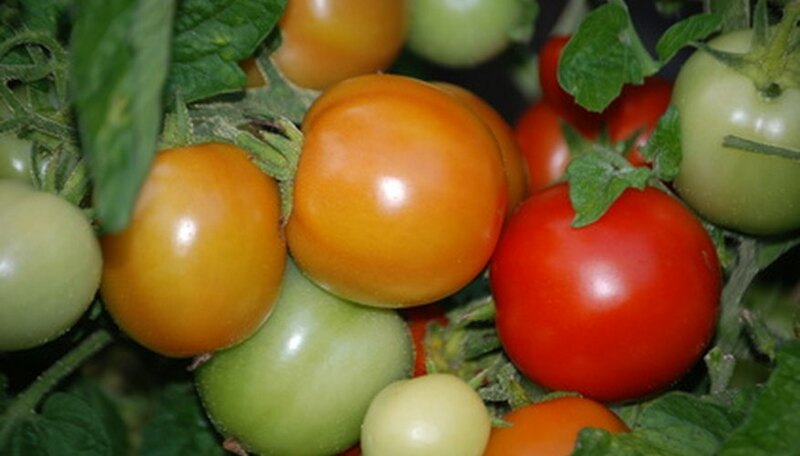 Other good varieties for Florida, one of the nation’s top commercial tomato growing states, include Tropic, Manalucie, Manapal, Bragger and Bonnie Best, which is especially suited for North Florida. Celebrity, a cultivar that performs well in much of the nation, also made Georgia’s list of best determinate tomatoes, as well as Florida’s list, with horticulturalists in the Sunshine State noting that Celebrity does especially well around Jacksonville. Florida’s experts also listed Walter, Suncoast, Flora-dade, Sunny and Solar Set. Determinates produce their fruit during a set period and then decline, making them suitable for canning the harvest at one time or mechanical harvesting. Southeastern horticulturalists recommend Cherokee Purple, Brandywine, Mortgage Lifter and Giant Oxheart as the best heirloom tomatoes. These soft-skinned, flavorful tomatoes are making a comeback among home gardeners and farmer’s market growers. Other recommended varieties for this region include Georgia Streak and Arkansas Traveler. “Be careful with heirlooms,” according to "Mother Jones" magazine, citing the region’s heat and humidity as tricky for their fruit setting. "Mother Jones" recommends Arkansas Traveler and Creole for good performance in the sultry climate. "Mother Jones" recommends Juliet for grape tomatoes, as do horticulturalists in Georgia and Mississippi. Florida extension service agents list Cupid, Jolly Elf, Santa, St. Nick and Tami G for grape tomatoes, Super Sweet 100 for cherry tomatoes; and Patio, Cherry Grande, Roma and San Marzano for tomatoes suitable for containers.